One of the best things about iOS 7 is the Control Center, which gives you quick access from anywhere on your iPhone to turning on or off Airplane Mode, Wi-Fi, Bluetooth, and more. It also makes it very easy to adjust the brightness of your display, and gives app shortcuts for your Flashlight, Calculator, Timer, and Camera. However, one of the greatest things also led to one of the biggest complaints about iOS 7—lack of customization. Not everyone needs a Calculator or Timer shortcut. Instead of a timer, it would have been better for Apple to add quick access to the Alarm or Settings. While you can't customize the Control Center apps or toggles out of the box, you can if you jailbreak your iOS 7 device. With a jailbroken iPhone, Control Center customization is as easy as installing CCToggles from the Cydia store. 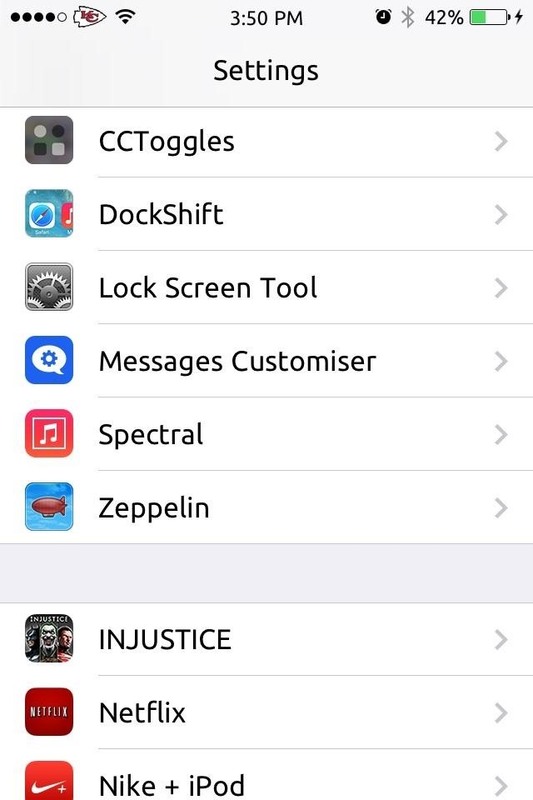 After installing CCToggles on your jailbroken iPhone, you can access the options through your stock Settings application. 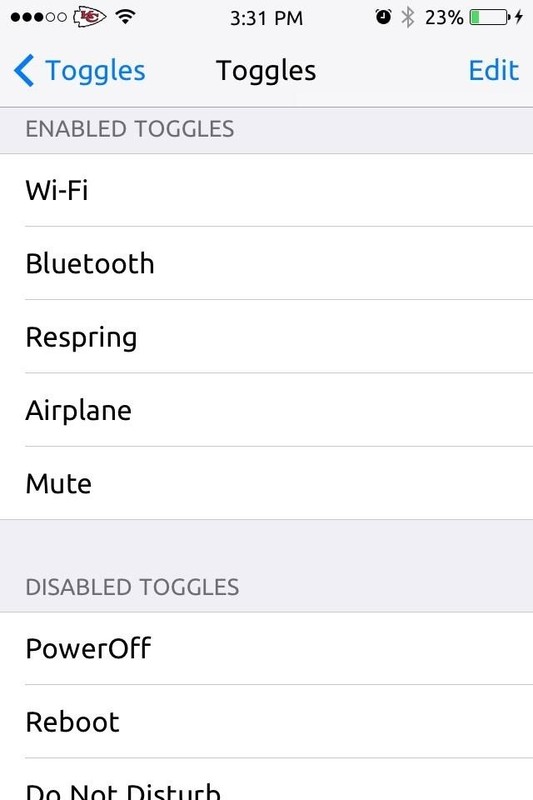 Open the app from Settings, then select Toggles. 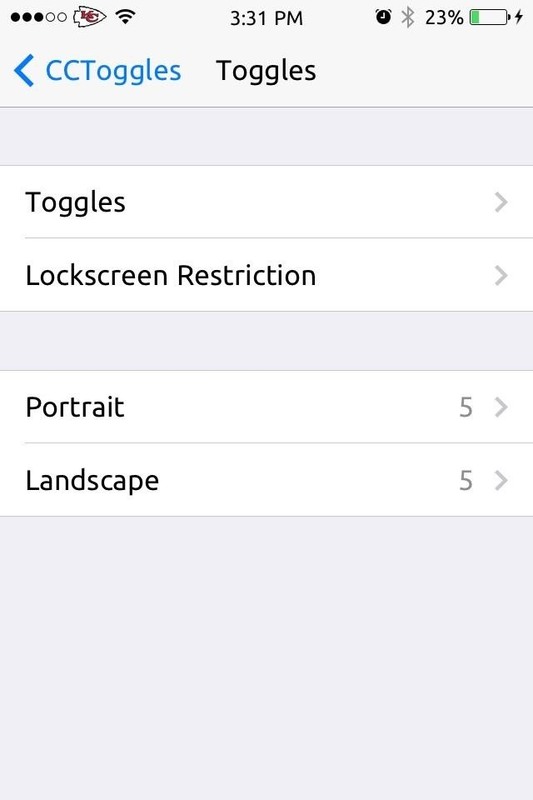 From here, we can select the maximum number of toggles for each orientation mode. Tap on the second Toggles option to enable specific toggles by selecting the Edit option, then dragging and dropping them into place. 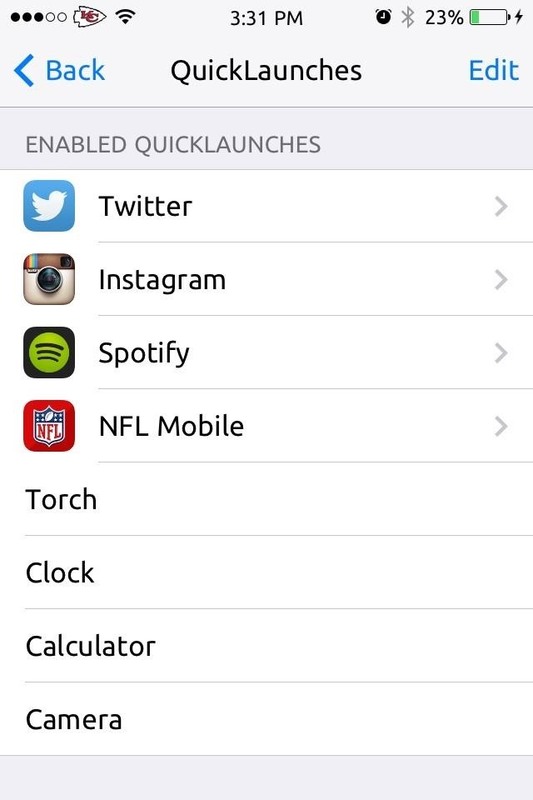 Select QuickLaunches on the CCToggles main screen to place new app shortcuts in the Control Center. Again, we can select the number of apps depending on orientation. 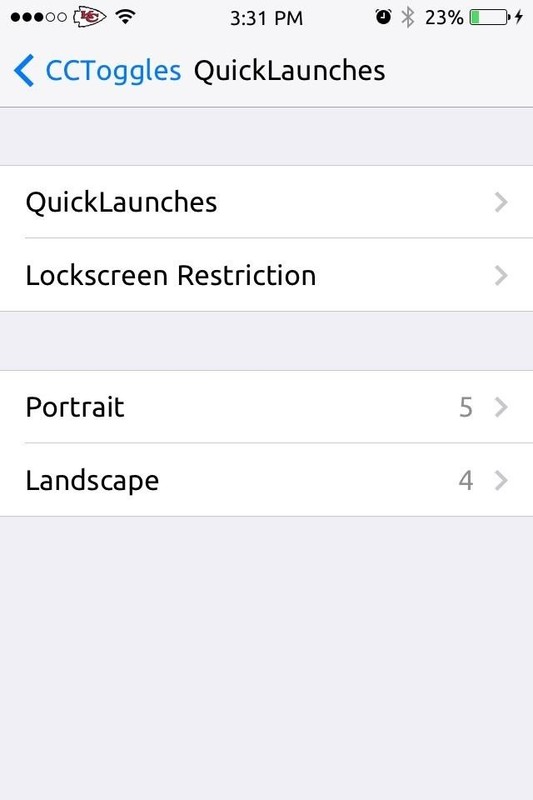 To alleviate any worries about people opening your apps from your lock screen, select Toggles or QuickLaunches from the CCToggles main page and tap on the Lockscreen Restriction option. 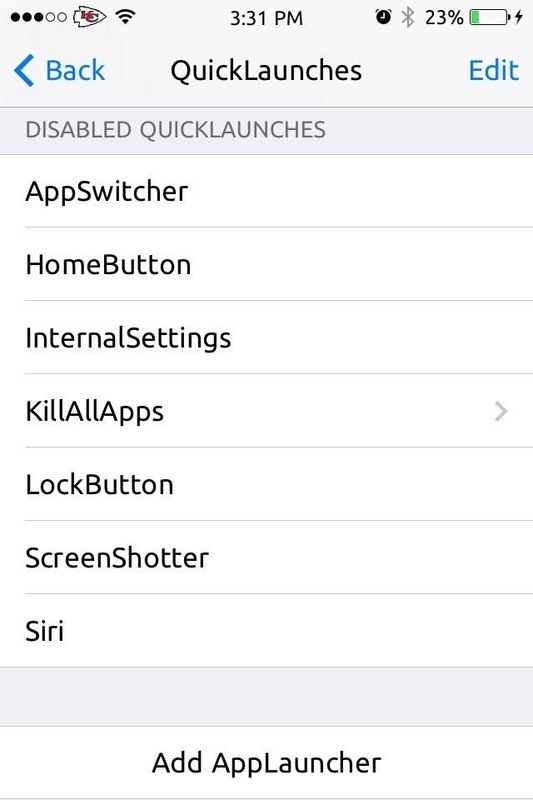 This will give the option to select specific apps and toggles that you want to lock access to individually on the lock screen, which is much more convenient than the stock option for disabling the Control Center entirely on the lock screen. From here on out, you'll be able to easily and quickly access whatever you want from the Control Center, when you want it. Now, if only Apple would add these capabilities to iOS 7 themselves. This is just one good example on why you should jailbreak your iOS 7 device. There are many more, which you can check out in our Cydia Hacks section.